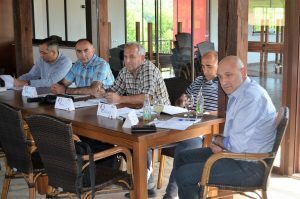 Within the project KRIN – Creation of A Regional Innovation Network, a two-day training for directors of enterprises and their associates on topic “Improvement of processes and procedures in industrial enterprises” was organized. Participants of the workshop had the opportunity to learn about methods and techniques which can increase productivity of processes and shorten lead time in their enterprises. Also, participants had the opportunity to try and apply some of the tools to specific processes in their enterprises. The workshop was conducted by consultants from the renowned organization Adizes South East Europe. 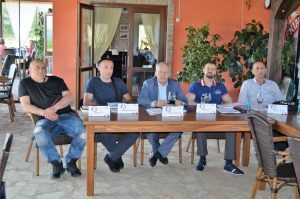 According to feedback information, directors of enterprises were very satisfied with the workshop, while many of them started thinking and planning to improve processes in their enterprises. Topic of the workshop was selected on the basis of the agreement from the previous sectoral boards meetings, also taking into account the excellent grades of directors who had opportunity to participate in training on this subject within previously implemented projects, as well as the satisfaction of those who decided to improve processes and procedures in their companies (5S, Kaizen, etc.) based on that training. Within the project KRIN – Creation of A Regional Innovation Network, three more trainings on topics that directors of enterprises find important and relevant, will be organized in the forthcoming period. 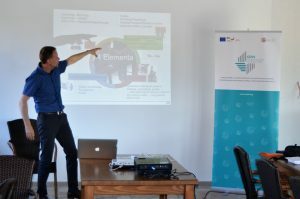 The KRIN project is co-financed by the European Union within the joint programme of the European Union and the German Government for local self-government and economic development in BiH – EU ProLocal, which is implemented by GIZ. The project budget is 233.795 BAM co-financed by the European Union in the amount of 186.498 BAM. 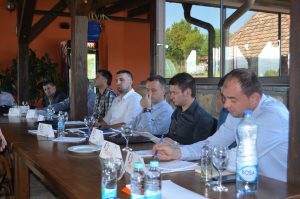 The project contributes to improved competitiveness of SMEs in sectors of metal and wood processing in local communities Prijedor, Kozarska Dubica, Gradiška, Laktaši, Prnjavor, Derventa, Banja Luka, through networking of key stakeholders and solving market failures. The project budget is 233.795 BAM co-financed by the European Union in the amount of 186.498 BAM. More information about the project is available here.